"This car is auto-matic. It's system-matic. It's hyyyyydro-matic. Why, it's Greased Lightning!" 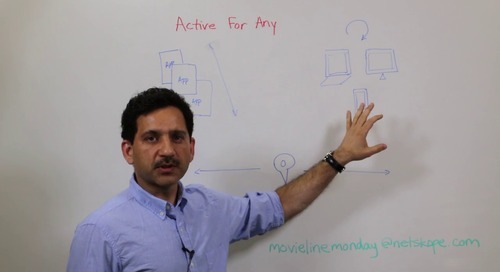 In this week's episode of Movie Line Monday, Netskope Chief Network Architect Steve Malmskog shares how enterprise cloud app providers use automation to manage their work. Watch as Steve breaks down the three primary areas that come into play when dealing with automating of an enterprise cloud app. Have a question or want us to tackle your favorite topic? Write to us at MovieLineMonday@netskope.com.